The building with the “Golden Flame” on the roof in the center of this photo is probably one of the most joked about buildings in Japan. 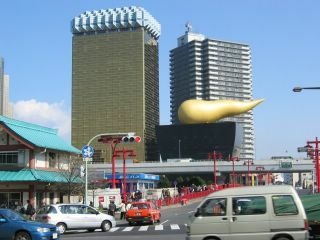 It is called the “Golden Poo” (kin no unchi) by some people. 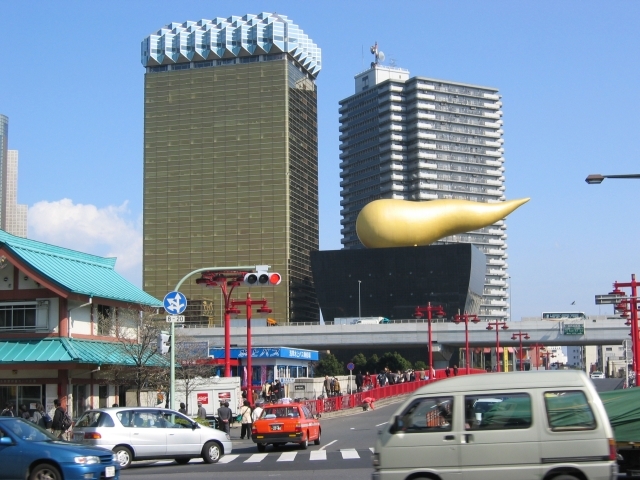 This building is located in the Asakusa area of Tokyo. Asakusa is a popular tourist location, not only for Japanese, but also for non-Japanese (doesn’t that sound much better than “foreigners”) as well.